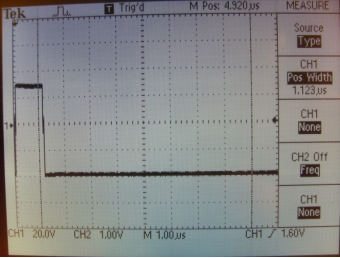 These Spectrum Analyzer screen shots show the effect of duty cycle on the frequency spectrum of pulsed signals. 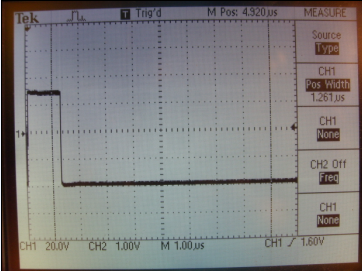 These pictures were taken with a ~98kHz pulsed signal generated by a Tektronix function generator as the pulse width was changed (and the frequency was kept constant). 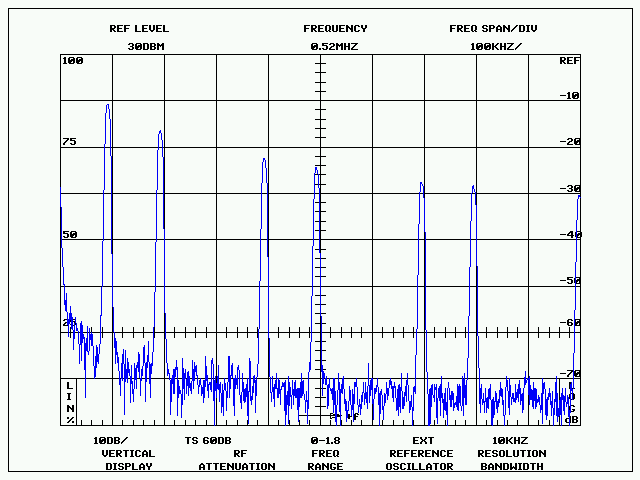 I selected a frequency slightly lower than 100 kHz so that the 10th harmonic (1 MHz) would show on the screen when 100 kHz/division span was used. 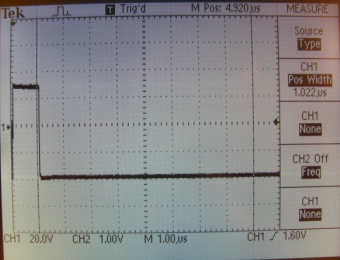 The first picture shows the first 10 harmonics of the signal which are labelled for clarity. 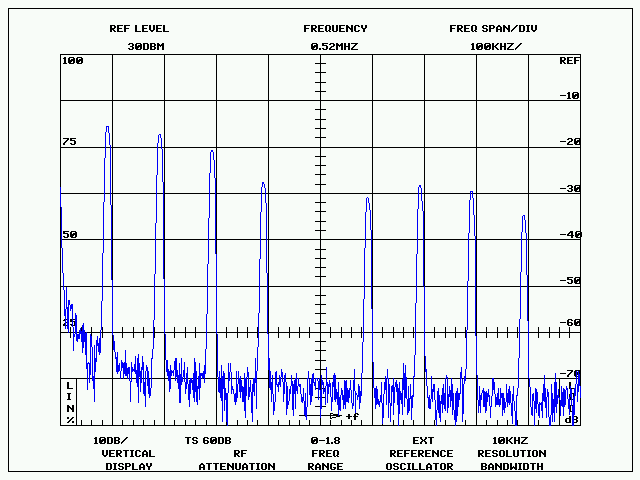 You will notice that every nth harmonic is suppressed when the duty cycle is equal to 1/n. 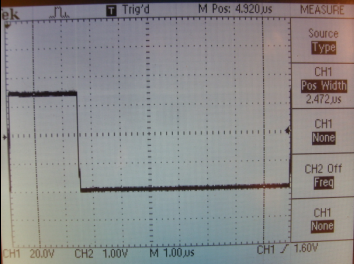 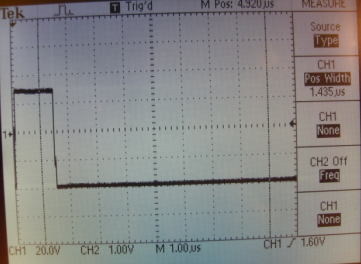 The oscilloscope pictures only show one cycle of the waveform because the pulse width measurement feature of the instrument is more accurate that way. 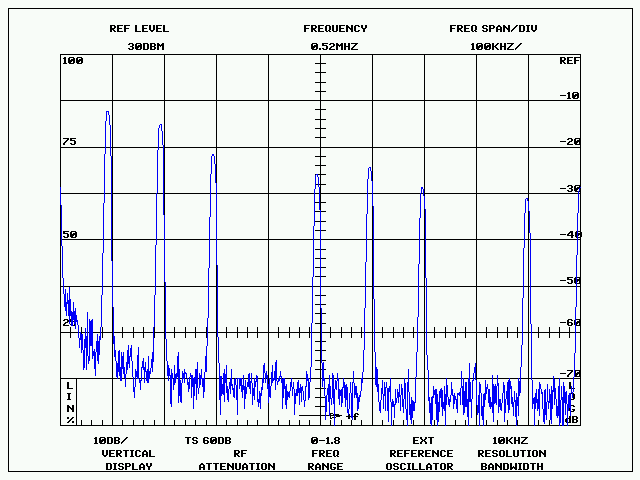 Because the frequency is slightly lower than 100kHz, the next pulse is slightly off the screen. 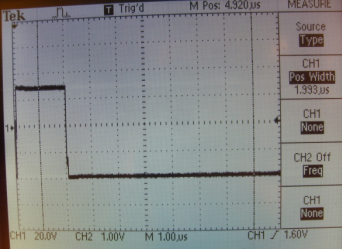 Therefore, the screen shot shows almost but not quite one entire waveform. 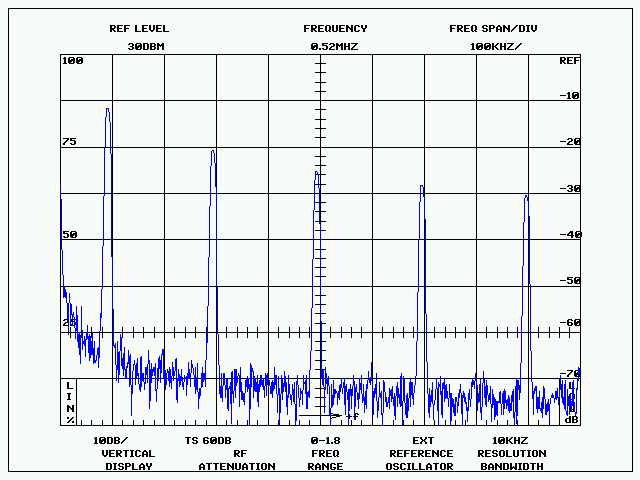 The first spectral line marked H1 is the fundamental (or harmonic 1). 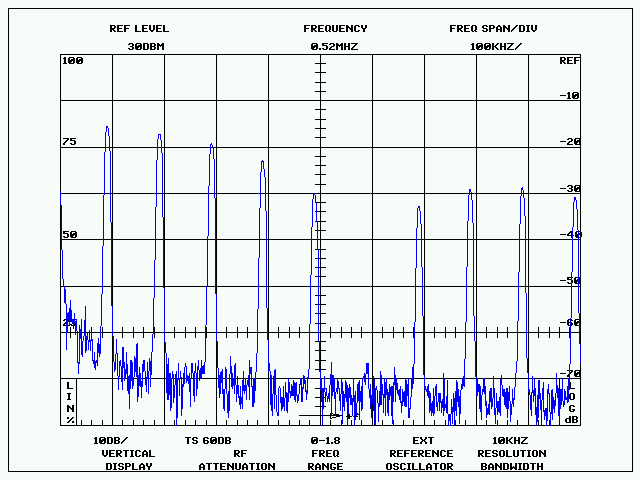 The next one (H2) is at the frequency of H1 x 2 and so on. 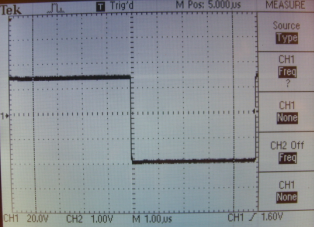 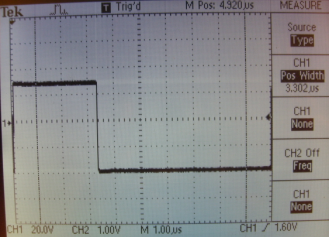 as I could get with the analog duty cycle control of the function generator. 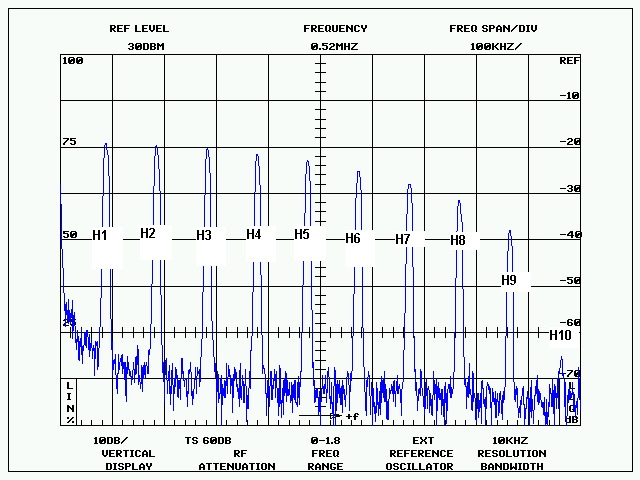 Notice that H5 and H10 are missing. 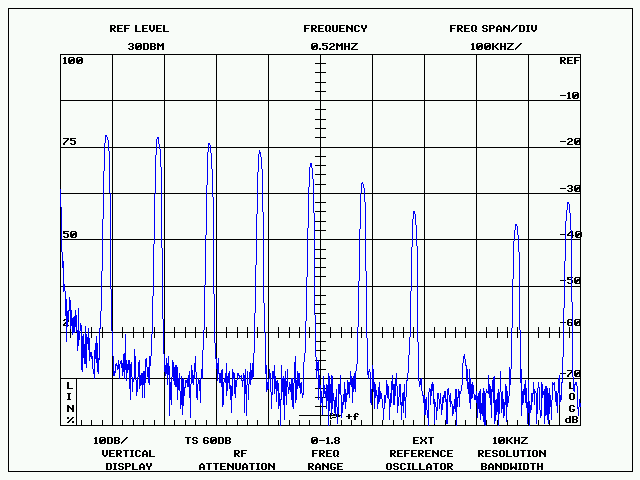 Notice now H4 and H8 are missing. 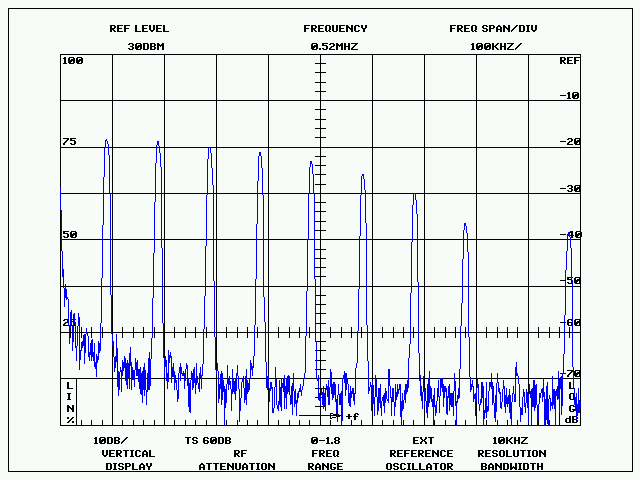 plot of a 150 kHz signal at 4% duty cycle. 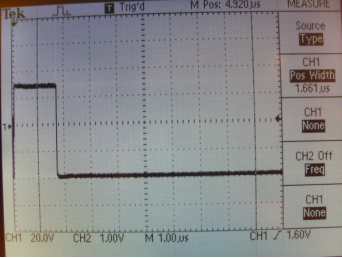 and the |sin(x)/x| response typical of pulse-modulated signals. 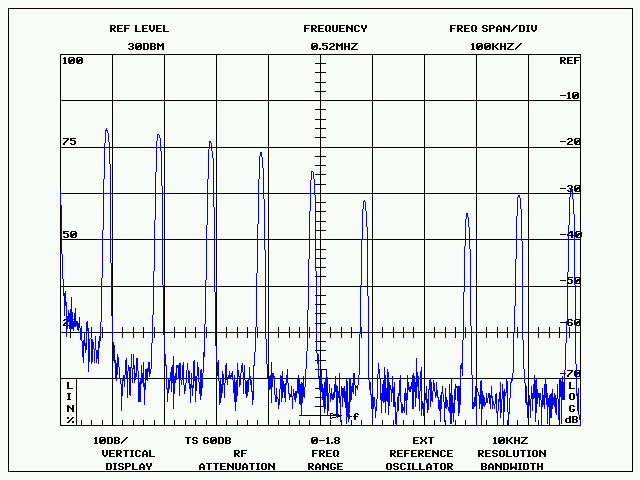 with an even wider frequency sweep.